We hear from too many agents that they either only prospect or they only work their geo farm. But the methods are really one in the same! Limiting yourself to one finding method or another will limit your success. The idea behind developing a network of people who will send you referrals isn’t new. In fact, that’s prospecting at its core: creating and implementing a system so the prospecting work is done for you. Geographic farming also follows that model—putting in the work now, so that when it’s time for contacts in a neighborhood or area to sell or buy a home, you’re their go-to realtor. You’re cultivating new clients while building a reputation that will speak for itself. At Landvoice, we’re all about helping you expand your personal and professional horizons and eliminating limitations. Here are a few tips for becoming a blue-ribbon (geo) farmer. 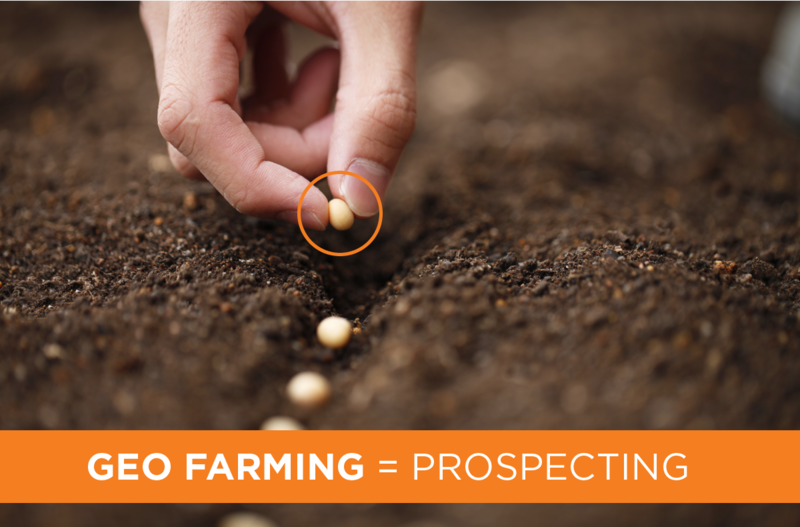 So what’s the difference between farming and prospecting? Instead of focusing on differences, it’s more beneficial to realize that these two methods of building your business really go hand in hand. As you choose an area to farm, you will use your contacts in that area to prospect new leads, which will build your client list; or in other words: your business. In other Landvoice blog posts we’ve focused on prospecting leads through FSBO and expired listings. As you use those hard-earned real estate skills and apply them to one specific geographical area or neighborhood, your concentrated efforts will pay off and the referrals will roll in. Today’s post will focus on the farming side of this equation. Your brand is your network, your sphere of influence, your geo farm. Whatever you prefer to call it, modern consensus says that YOU are your business. When geo farming, remember that you are the most important part of your farm. After all, what is a farm without a farmer? Building a brand will help you generate more referrals and build a strong business. When you have cultivated a healthy geo farm, you will find success as you prospect because leads are more likely to have heard your name or know of someone who has used your services. Real estate is not a 9 to 5 desk job. Maybe that’s why you were drawn to the profession in the first place. And with that additional flexibility also comes more emphasis on you and your personality. Building a brand or a reputation doesn’t mean all you need to do is smile and wave. Like working a farm, cultivating your geo farm takes grit as well as tools. Neighborhood Search is a Landvoice subscription service that will help you build your geo farm. Enter an address and Neighborhood Search will find the 100 closest houses and populate the homeowners’ names, addresses, and phone numbers. This tool can be used unlimited times with a Landvoice subscription. Neighborhood Search takes geo farming literally when you can define your prospecting to a specified geographic area. This tool gives you the opportunity to get to know an area and form relationships with those who live in it.